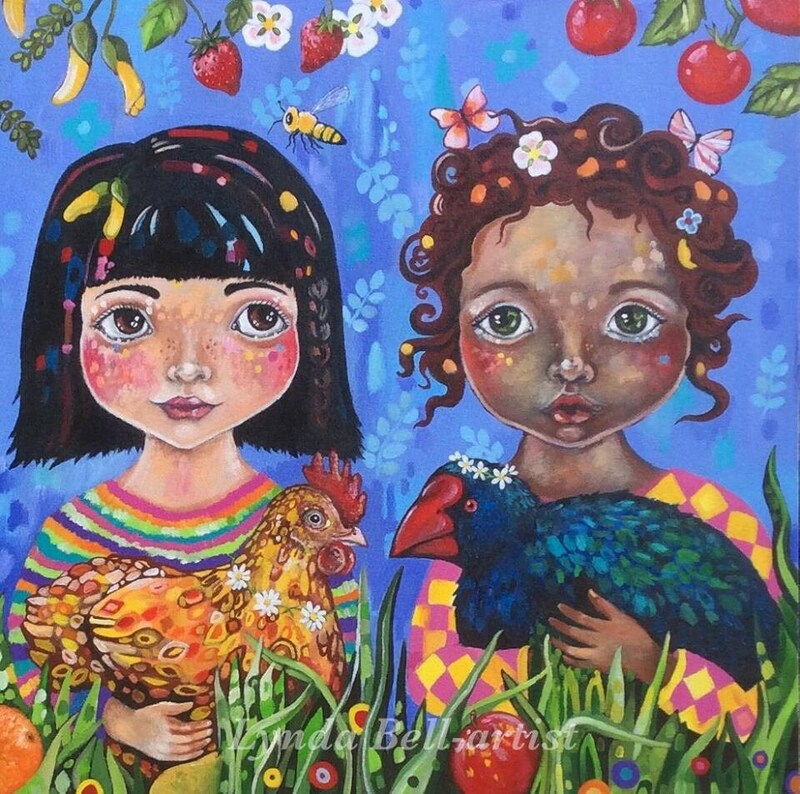 Feathered Friends is a painting exploring the relationships humans have with animals. As children, most of us love all animals equally, but as we get older we learn that there are differences: some we love and protect, others we eat and hunt. I wanted to show the equality bewteen a native NZ bird (Takahe) who is protected and a chicken who is eaten. Both are beautiful birds with personality and soul, who should be treated with love and respect. Check out my FB page: 'Lynda Bell-artist' and instagram: @lyndabell_art for exhibition updates and more art including original paintings and illustrations.